The Howie-Smith Project is a unique, multifaceted enterprise dedicated to community regeneration via the Arts, with locations across Nottingham City. The Howie-Smith Project addresses the widespread problems of urban decay and abandoned buildings in the inner-city by offering local artists and creative industries low-cost (often free) access to these unwanted and neglected spaces. Here, local artists transform derelict properties into studios, rehearsal facilities, workshops, exhibition space, and places to involve the community in a variety of artistic expressions and performances. 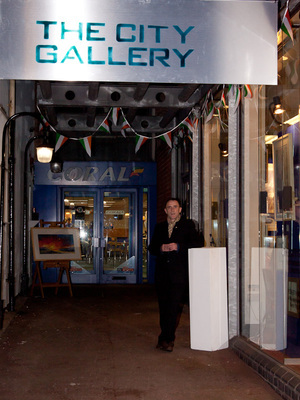 City Gallery with Director Rob Smith. Photo by City Gallery. In Nottingham, the Howie-Smith Project occupies four locations across the city, which host a variety of micro-businesses, classes, workshops, community events, exhibitions, and art studios. The employment of artists and small business owners, as well as the transformation of decaying urban properties, has a hugely synergistic effect, which ultimately benefits the entire community. The City Gallery is the best place to visit on your trip to Nottingham, which is conveniently located in Nottingham's Market Square. Art, Coffee, and much more. Photo by Erin Connelly. Open Evening at the Gallery. Photo by City Gallery. The City Gallery, tucked away in an alley off the square, is a thriving artistic hub with a full schedule of exhibitions and events. 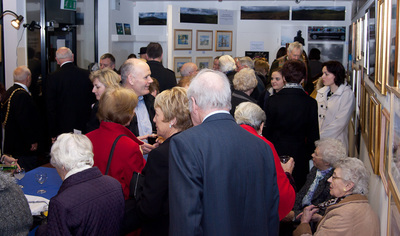 Previous exhibitions have included the works of multiple photographers, private collections of paintings, and the creations of amateur artists from the community, while special events have included everything from gastronomy workshops (featuring the Thai art of fruit sculpture) to storytelling evenings and free painting days for children. 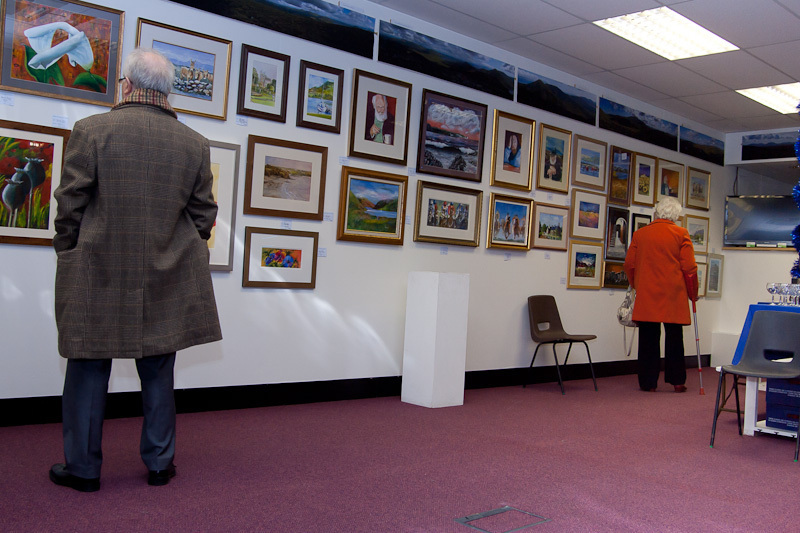 You can purchase a full range of professional artwork, photography, crafts, jewellery, or clothes created by local artists, which are on display at the Gallery. City Gallery. Photo by Erin Connelly. Full details of current exhibitions, as well as a list of previous exhibitions, are available at the website or by contacting robert@howie-smith.org.uk. Exhibition. Photo by City Gallery. The Gallery recently opened a café, Sooz Bakery, featuring a wide selection of handmade cakes and pastries from around the world. There is also a range of teas and herbal infusions, coffee, and hot chocolate that you can enjoy while deciding which painting to purchase. For more information about the café, contact soozbakery@hotmail.co.uk. The Howie-Smith Project is an entirely social enterprise. When you support this organisation by purchasing local art in the City Gallery, donating to the cause, or attending community workshops, the money and energy is immediately reinvested into the project in order to 'create a ripple effect' across the city, says director Rob Smith. On your next trip to Nottingham, visit the City Gallery, have some cake and tea, buy beautiful products from local professional artists, and be part of a movement that is changing inner-city life. Photos by City Gallery used with permission.